← Bloggers for Movember – Starts…. NOW! I’m not going to deny that I’m doing the ‘happy dance’ this morning after the RE-Election of President Obama. However, this post is not really about that. It’s about the ruination of my nerd-joy last night. I love watching political analysis, especially post debates and during an election. I guess I should qualify that statement – I love watching political analysis on PBS. Gwen Ifill is my absolute favorite person on PBS NewsHour, and I fervently wish that Washington Week was an hour long program. So I was thrilled to see Gwen at the main analysis table with David Brooks and Mark Shields when I started watching the returns last night on the PBS NewsHour. I love these two guys too – I think David Brooks is possibly the only fiscally conservative Republican that I enjoy listening to. 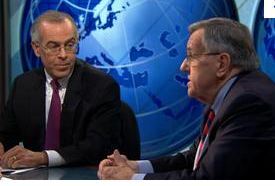 And Mark Shields is always an entertaining Democrat. One of the things I particularly love about the PBS NewsHour, besides getting to run analysis of its ratings for my job (WHOO HOO! ), is that their set is basically a table, chairs, a backdrop and talking heads. I cannot abide the garish and cheezy looking sets of most of the news programs on TV – it makes them all look like they are reporting on behalf of the National Enquirer. I don’t require flash and dramatics with my news – I want to hear intelligent discourse….I don’t need the news to look like a reality show. What killed it for me last night as I sat down with excitement and trepidation (the fiasco with the Bush elections has left me scarred and suspicious for the obvious reasons) was the fourth person at the Gwen-table. Judy Woodruff…and it wasn’t her personality. It was her clothing choice. It was those damn buttons. WHY JUDY? WHY? WHY DID YOU HAVE TO WEAR A TOP WITH BUTTONS THE SIZE OF A SMALL CHILD’S FACE?? ?I could barely look at her the whole night. Luckily I liked Mark Shield’s purple and blue stripped tie, so I was able to focus on that when they panned towards the two of them. But it seriously made it hard for me to watch – and like I said, I LOVE watching talking heads. Eventually, I just had to take off my glasses and try not to make eye-to-button contact with Judy’s clothing. However, the outcome compensated for the mental pain. This entry was posted in Aversions, Humor, Politics, Random Thoughts and tagged buttons, Gwen Ifill, Humor, Judy Woodruff, PBS NewsHour, phobias, poltics. Bookmark the permalink. 23 Responses to Judy – WHY? WHY!!! I was thinking what an interesting woman you are, so engaged with the political debates etc, & then so laughed when you talked about the buttons!! I’m from Australia & don’t know any of that, but you so made me laugh. It’s true, buttons can be THA DESTROYER! 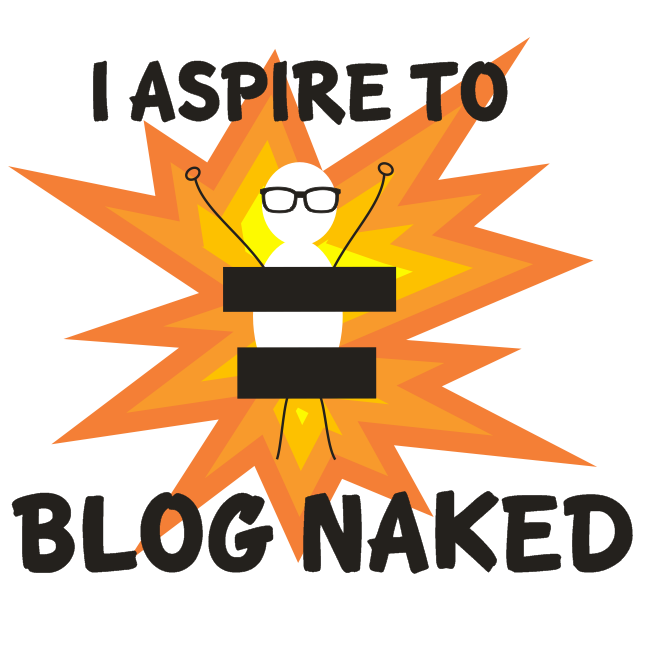 Hee hee…I am engaged with debate but I have to be able to focus without the buttons! Thanks for reading and commenting with your interesting comments! 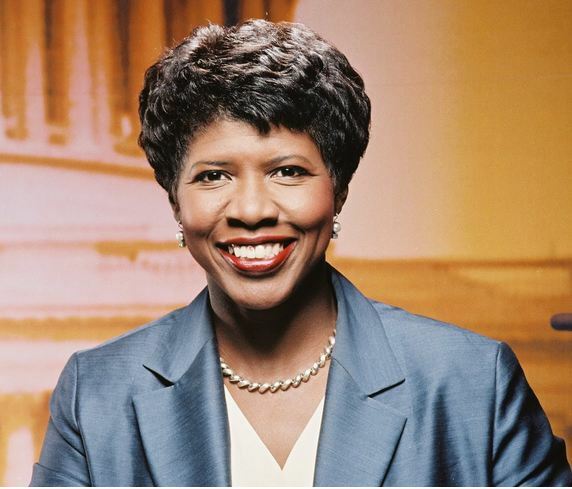 OK, so, I adore Gwen Ifill. She is pretty much the most awesome anchor of all time. I didn’t see the buttons but I am Googling them now…..
……and yes. Bad. Very bad. THEY WERE LARGE CREAM COLORED BUTTONS !!! Teddy bear eyes!!! Yes!!! I knew he reminded me of someone. I totally ate them for dinner. With a scrambled egg. Annnnd breakfast this morning. I microwaved leftovers and then hit ’em with a spot of whipped cream. Clearly I have issues. But I would send pancakes happily!! And yes, I can’t stand the cruel things people are saying – I shan’t be one of them. I might not like Romney as president but I don’t need to spew cruel things about him to make a point. This was so funny, and I loved your open honesty declaring your nerd joy. Nerds Unite!!!!! I’m in good nerd company, I’m pretty sure! Ha ha! He is like a teddy bear… but I shan’t be doing that, Becca.. I don’t know… that sounded like a challenge to be accepted! !